Balance it up: Making high-volume training sustainable | JustRunLah! Running further the manageable way. In the closing months of 2015, it came to an end. The fair lady bided farewell and hoped we could always remain friends, as we have all along. The chase was over and I had never won her heart. 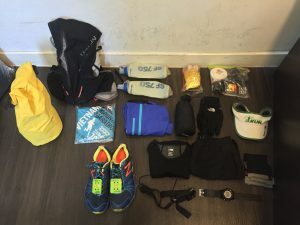 I would have run a 100 miles for her – it actually happened; namely Ultra-Trail Mount Fuji (UTMF) in September 2015, whose namesake refers to that majestic peak which she once lived near at her old home. But, the worse thing is I did not complete the race. 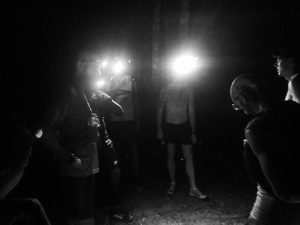 UTMF in that year was considerably brutal with only 41.5% making to the finish line, and not without overcoming human jams on the route and tight cut-off times at checkpoints. 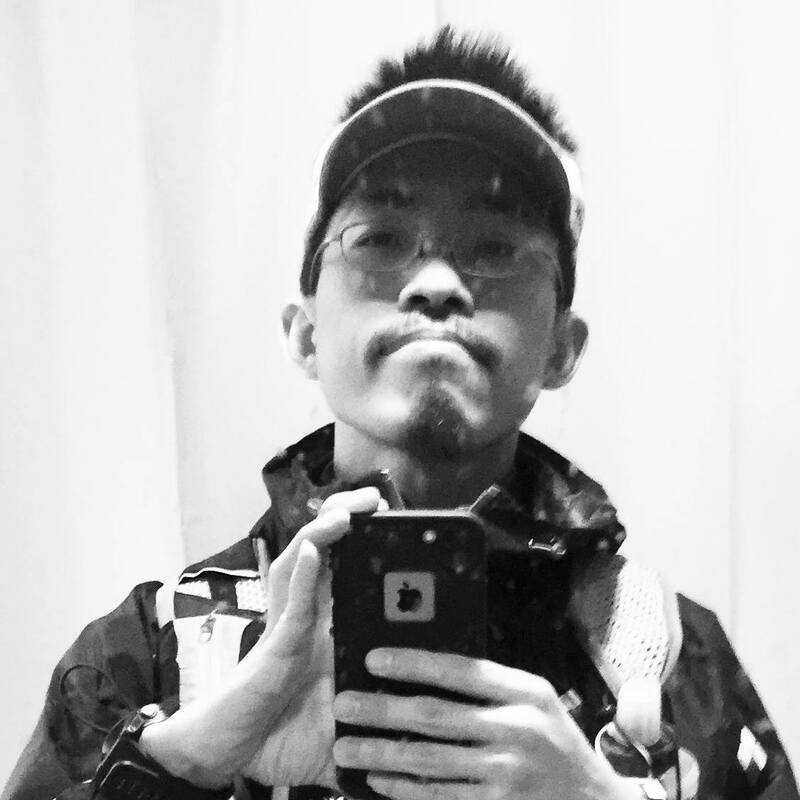 With this DNF, I took a hiatus from ultra training and races for more than a year-plus, just so I can get on to doing my degree and maybe, flirting with the female course-mates at night classes. But, as I dug deep into academics, my peers were slugging in the trails and basking in their moment of glory. While I felt happy for most of them, I was also irritated. To see my peers bypassing their milestones was encouraging. However, that showed how ahead they were in their running, and how underwhelming my previous achievements were. So, the unsettled business in mind, I began to engineer a crack training regimen post-graduation. Getting on the road is easy. But ascertaining the appropriate training programmes and volume will take time – years for this late-bloomer – to figure out. For starters, not all can subject themselves to the 100k-and-beyond weekly mileages that elites could endure. And most people would never bank on a less-than-adequate training volume to weasel their way through the mountains. As with any specific training programmes you read in running mags or online, they are not one-size-fits-all solutions. At best, they only provide ideas and hints to how your own regimen would work out. Eventually, everyone’s training is affected by a slew of factors within and outside running: pronation, physical condition and psychological state, as well as diet, sleep hours, work and lifestyle choices. The combination of those elements will determine the kind of runner that will develop over time. Importantly, training impacts your entire being and is in connection with just about anything in your personal realm of existence. Hence, however important training is, it should not be done at the degeneration of other non-running aspects (leisure, professional pursuits, romance, etc). 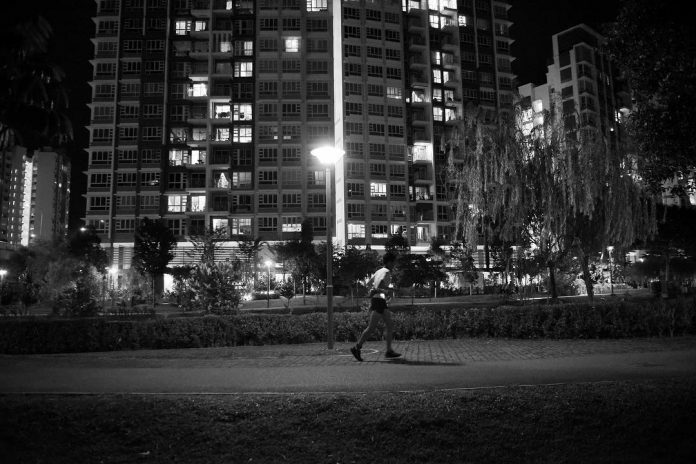 As much mental as it is physical, the key to proper training is sustainability: Sweating it out without piling with cumulative misery and injuries; moderating goals to meet them consistently and still reap enough benefits for a race and; finding fulfilment and enjoyment in both running and non-running activities. Training, therefore, has to be a manageable, holistic and positive experience. Until recent times, I straddled both ends of the spectrum: Overdoing it that it becomes unsustainable and underdoing (most of the time) that I pay the price on race day. I had once tried to achieve a 100k per week, only to suffer insomnia the following nights. Even then, simply trying to meet close to that hard-core three digits is a stretch; life’s busyness and all means training becomes more of a draining chore instead of a feel-good series of workouts. On the other hand, I also ended up training too little. I cut an excess amount of time, mileage and effort whenever I was hamstrung by fatigue early in a run or in the middle of it. I thought I was reaching a limit and needed more rest. 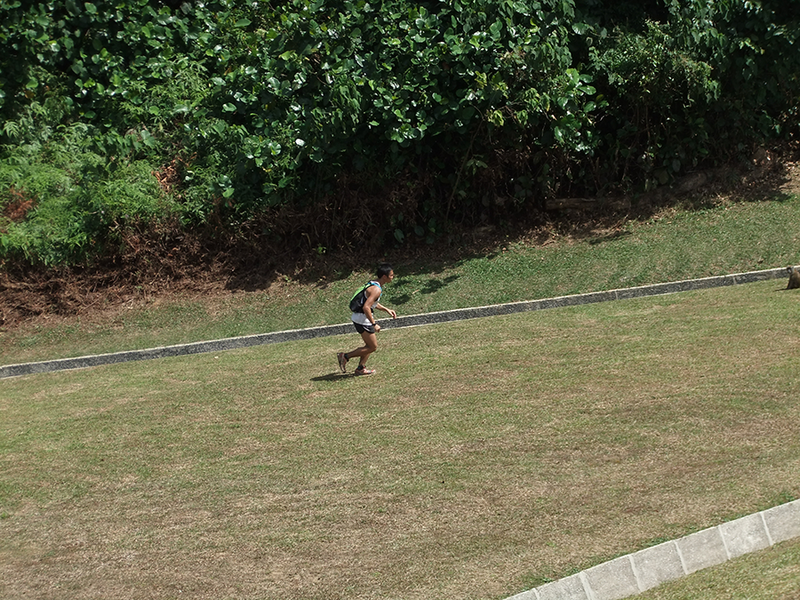 If I was not mentally into a tough session, I would opt for a flat route over a hilly course. I would rest more days than needed when I assumed I was already too spent from previous days to maintain the streak. Better to conserve than to be wasted by race day, I opined. Consequentially, the result shows: My Garmin Connect data reveals the pre-UTMF 2015 weeks which are marked by a staggering pattern of inconsistencies. For three weeks, a 40km+ session was recorded in each week, but the weekly mileage from the first to the last is uneven – 66km, 70km and 43km, respectively. There are too many vacant days per week, about four on average, and this trend is reflected across other weeks. Long runs (21km and above) occurred as abruptly as the inactive days that preceded, with little gradualness in build-up and tapering. And those happened within the 10 weeks before UTMF. The problem here is the lack of a well-defined goal. When your training schedule can be arbitrarily tweaked based on your mood of the day and how much f***** you give, it pretty much ends up as it is: the most f****up training ever conjured by a lazy runner. So, I need to set a figure for at the least the week and a frequency I would commit to. Now, 100km is definitely gonna take a chunk out of time and 90km would be too close to that mark. 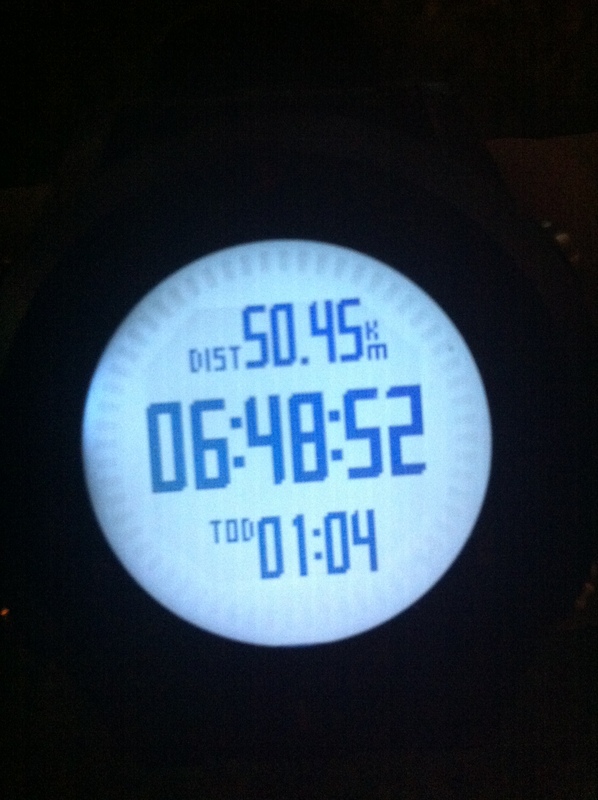 80km would be 20 short of that “POWER OF GREYSKULL!” finish. But, it would still make me satisfyingly drained by the weekend and reward myself with an Erdinger Dunkel (priced S$5.90 at the Fairprice mart). That number I could will myself to. For the beer, especially. Of course, it can’t be a perpetual cycle into an 80k-every-week oblivion. Be kind to oneself and accept three consecutive weeks of high mileage is an intense but sufficient prime-up – then cut it from there to a taper the following week in which it is 20km shorter at 60. Now, let’s get down with the nitty-gritty. The science behind this training plan – or for any other plans – is to factor that, at any point of the first three weeks, your attention might be demanded for more pressing matters outside running… and that is just life. A firm sense of discipline will see you through the weeks. However, once in a while, when personal responsibilities are priority, you would find yourself robbed of time to cultivate the pain. Fret not. The 80km week does not have to be so if it permits itself some flexibility – for even multiple weeks if required. To do this, I implemented a points system in my training à la UTMB scoring qualification system. Basically, when a total of 80km cumulative mileage is done for a week, it is 3 points. So will it be for the two weeks when you hit 80k each. After the end of the third week, you should have amassed an overall 9 points. And those points will reward you – you guessed it – the Taper Week. No, you tall hopies; that trip to Chamonix will have to be earned through a more quad-breaking process. On the surface, it may appear straightforward and even easy to stick it through with three 80k weeklies. Until, somehow, you are needed for almost the whole week to ensure your 10th cousin’s wedding at Sentosa Cove goes smoothly and impresses his hot Korean fiancée’s family. And it is a pity – that you never have a hot Korean girlfriend like your cousin. More importantly, that momentous development puts a severe strain on your training time. Well, there’s an alternative; just tune it down. The point of flexibility is to ensure, even when you are hard-pressed to find the time for training, you would still able to keep the body in consistent activeness, albeit the reduced volume and intensity. The toil debt is real; a week of inactivity or very low mileage could hamper the start of the 3-week high volume phase. Flexibility is supposed to help you maintain training progress, not shortcut the whole darn thing by ironically protracting it. Stay the course for the ’80/week’ – pull back only when extremely necessary. What you put into an ’80’ week is about as delicate as customising a carbo-load at The Daily Cut. You can’t simply jam in a single 80K session in one day or do 10Ks for six days, followed by a 21K, then missed a much longer LSD in the process. Be realistic about your strengths and, at the same time, aware of pushing yourself further. While there is no training mixture which would suit everybody, there will always be a plan sui generis to a particular kind of runner. Look for one such programme or, better still, craft your own. I find it vital that, in order to maximise the positive effects of training, the ‘80/week’ should contain at least a 10K, 21K and 40K, topped up by another run to prop up the figure. Well, at least, that was the plan; the cumulative impact of high volumes week after week resulted in too much lethargy to get a mid-week half-marathon done (which I cut to 10K) at one point. And then the busyness of work (sort of) and a possible overloading on my right leg in another session. I will admit – the training week’s composition is still a work-in-progress. Regardless, the one session I prioritise that MUST be done is the long run – 40K and beyond – in all weeks except the taper. The 40K should, as weekly as possible, be the ‘flux capacitor’ to pump up for an incoming ultra (50K and beyond). 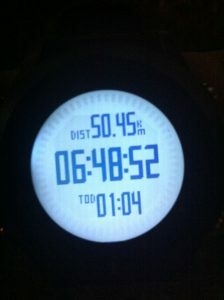 And if you are up for it, try to do a 50K session per yearly quarter. Now, training is not simply a series of sessions on the flat unless you are preparing for a road marathon – which the ‘80/week’ can be adjusted for. Heading to the mountains to pay your due? 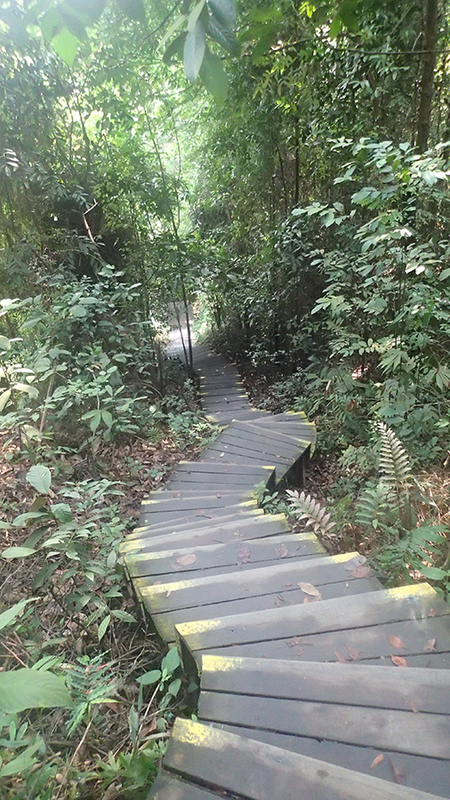 Fashion your 40K to, in my case, include six climbs up Bukit Timah Hill (with the rest of mileage on trail and/or concrete), and for the 21K, at least three stair climbs at The [email protected], where it smells of piss at the first floor. 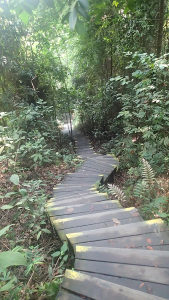 In Singapore, you have to make do with what our mountainless, tiny island has. 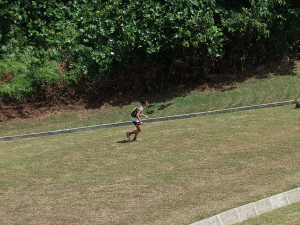 There are indeed a few good locales for steep incline running like Vigilante Drive at Kent Ridge Park. Mount Faber would do as well, though, the name’s a scam – it is never a mountain. Capping your training mileage at a certain number ostensibly limits your potential. Why not do more if you could, one would argue, and rightly so: there is a chance the ‘80/week’ might inhibit further progress by reducing your motivation for additional volumes. However, extra amounts are either going to work or not work for a runner, and there are different runners for whom the outcome varies. The most essential goal here is consistency, not escalating the load. Nevertheless, you are not prohibited to do some more if you can. Just avoid the contrived piling up of ‘junk’ mileages; instead, let your increments be natural. 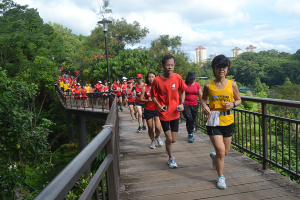 For example, in addition to your mandatory sessions – 10K, 21K and 40K on Monday, Wednesday and Sunday, respectively – you would always run a 7K back to home from work, no matter what. With those happening on Tuesday and Thursday, they would easily bring the week’s mileage to 85K – an additional 5 which wouldn’t kill. Basically, natural increments like those are efforts happening on an ‘on-the-way’ basis, like a short race, and not doing more runs to deliberately push the number, even beyond what is sustainable. And the increments should not be too significant. Furthermore, one should not only be focusing on the mileage ran within the Monday-Sunday time frame – there are also your last 7 days which would have preceded that period. From Monday to Wednesday, you would have done 30K of running. But, taking into the account the days before that – Thursday to Sunday last week which amounted to 70K – you have already run 100K for the past seven days. And, that is the beauty of consistent weekly training: you end up doing more than you think you have. The perspective based on the last seven days is a good way to gauge whether you could train more or (especially) risk overtraining. Remember: the more training volume is over a short period, the more stress your body is subjected under. Train with what your body could effectively adapt to. Over time, I have also come to dismiss one advice which was given during my early days of running and that is, the practice of not compensating for lost mileage. When you start running, maybe; on the other hand, the advice – in my opinion and based on personal experiences – only curtail your training progress the longer you are in the game. It’s not that life’s busyness is not a credible concern. However, if you are seriously committed to the process and its goals, you should always find a way to meet at least the targeted weekly mileage, even if you can’t commit to a 40K in that week. Additionally, the flexibility of the ‘80/week’ regimen provides multiple ways to meet your objectives whilst overcoming external difficulties. Setting a weekly number would help you plan sessions in advance, and even during mid-week or on a short notice when you are bumped by last-minute matters to tend to. When all else fail, you can still scale back to a ‘70’ or ‘60’ week – but nothing below those unless it is absolutely inevitable. No matter what, you should train in a manner that is focused, consistent and sustainable, in spite of the challenges. I’m not a certified coach or bona fide sports expert. What I have rambled about in the last one hour is obtained from my own experiences in running. To add to your concerns, I’m not an elite athlete even if I sometimes think I am one. What I say may or will not work for you. But, so are the opinions of the true pros who comment on websites or magazines, sometimes with little to no disclaimer. There is a reason why professional coaching is very much an individual-focused endeavour, and why career athletes would drop their coach when things did not pan out well. Everything you hear from anyone is just another piece of wisdom – or cautionary tale – for your approach to training. As a whole, a specific programme may never answer your needs substantially. Moreover, the right training will take some experimenting and time to figure out. But it will yield results once you discover the stuff that clicks with you – hopefully, with fewer injuries as you go about it. The ‘80/week’ plan has, to a certain degree, worked for me. Still, the verdict will rest on race day and it remains to be seen what the full extent of the training outcome is. So far, the past 10-13 weeks have been the most consistent I ever trained for a long race. Thus, reflecting on past events, I think the next race could turn out better. BIO: Runner Chronicles explores the existential side of running and delves into training, races, runner stories, and other related issues. 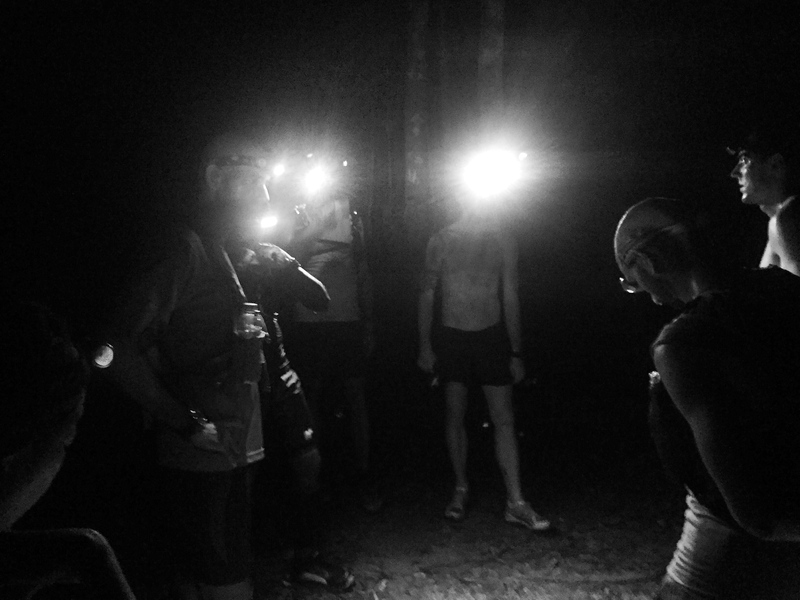 It is started by Terry - ultra-running novice, shutterbug enthusiast, and ever curious writer. Click here for more post from Terry Tan.